The new Mic or headset control isn’t working on your Android device. Also, your Android headset isn’t functioning on your iPhone or Mac. Moreover, Windows device owners may face similar problems with Apple produced headphones. 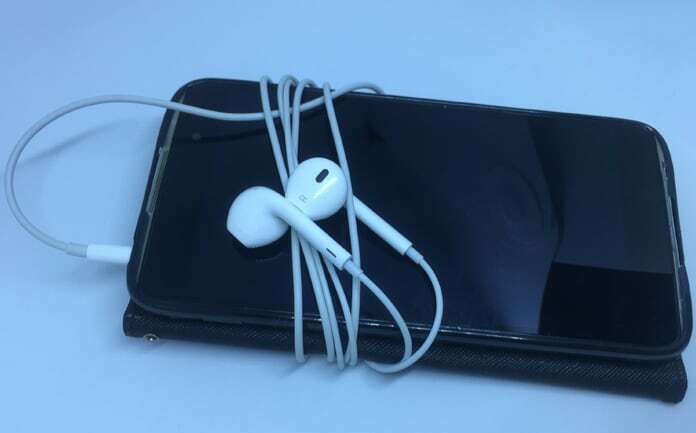 For owners of Apple or Android headphones who are experiencing compatibility issues with their smartphone and headphone, find the solution in this article, which talks about why your iPhone headphones not working on Android devices or vice versa. Firstly, know that it isn’t an issue with your smartphone or headphone. Apple produced headphones followed their unique standard of design, and it is quite different from universal headphone design (such as that for Android headphone), which is why Apple headphones aren’t always compatible with non-Apple devices. Which Headset Types Are Usually Used on Apple & Android Devices? 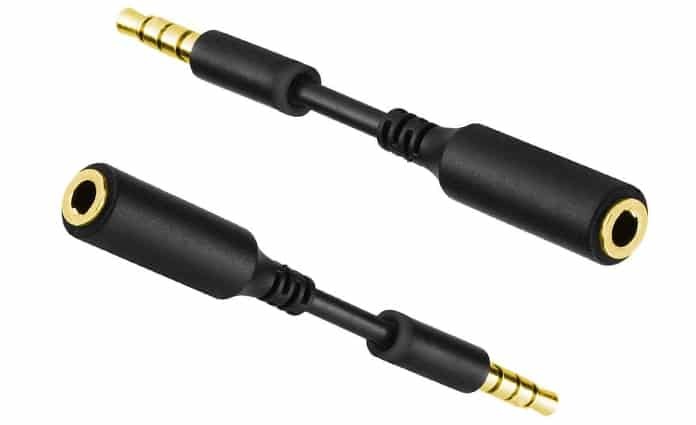 In Apple and Android universe there are two kinds of headphones used for connecting with devices. Let’s clarify one thing, the standard headphone wiring format is still followed by Android devices for their headphone PINs. However, a different configuration has been done by Apple for their headphones and therefore, they’re not compatible with other gadgets. Its wiring configuration is as follows: Left audio, right audio, mic, ground. All the latest smartphones use TRRS (Trip, Ring, Ring, Sleeve) configuration for headphones. The configuration is utilized for headsets that have a push-to-talk (radio push-to-transmit feature) and an attached mic. Almost every other Android device is using this standard configuration for its headphones. In the configuration of TRRS, each ring, tip and sleeve essential has its unique wire terminal counterpart inside the configuration with a pin-out in this order: Left audio, right audio, mic, and ground. It’s wiring configuration is as follows: Left audio, right audio, ground, mic. Apple and other device manufacturers utilize this standard. However, there’s a different wiring configuration used by Apple. The pin-out order has been changed by Apple to the following: Left Audio, right audio, ground, mic – this is different from the TRRS pinout configuration of Left audio, right audio, mic, ground. The unique wire configuration allows Apple headphones to function just with Apple devices like iPad, iPhone and other iDevices. That’s the main reason why your iPhone headphones not working on Android or Windows devices. Can Headset Wires Be Interchanged to Match Configuration of Apple Headphones? What happens if you alter or change the wires of ground and mic? Can you use the modified configuration with your Android device? Personally, we don’t recommend that, because headsets from Apple have more changes compared to the standard headphone. For instance, Apple headphones has a certain resistance set between the ground cable and mic to produce pulses for their control buttons of the headphones. The standard headset has a different resistor set value. Therefore, this resistor’s different value, when modified Apple headphones is used with other smartphones, may not provide the same signal amplitude and this could cause the headphone controls to malfunction. When these buttons are pressed, Apple devices are going to sense the electrical pulse carrying a definite amplitude (internal resistance is an indication) and then convert the command codes to control the iPad, iPhone or other similar iOS devices. These timings and pulses’ amplitude aren’t compatible with other device or smartphone or might not be able to configure your Nokia or Android device with the same headset control properly. Making iPhone Headphones Compatible for Android or Vice Versa? Workarounds could be attempted to see if the headphone becomes compatible with Android. However, the solutions can’t fix problems 100 percent. That said, if you’re still wanting to go ahead with it, take the following measures to see if you’re able to get a good hearing experience. Those who prefer the Apple earbud design, but want to still use Android devices, can use one of the third-party headphones available in the market. It has the same design as Apple’s headphones, but offer Bluetooth connectivity. Since a connection is done through Bluetooth, controls work with both Android and iPhone devices. 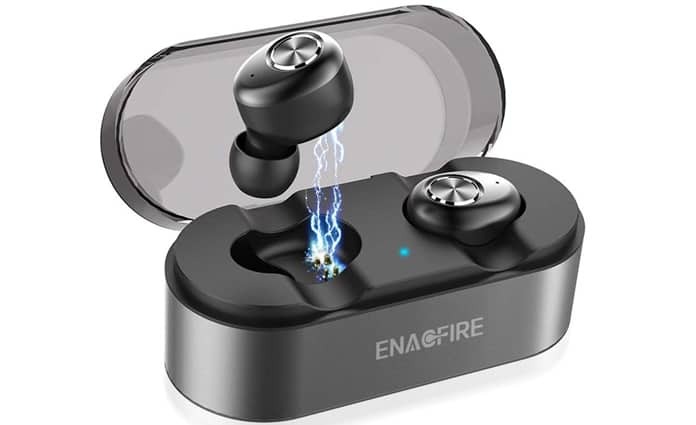 For example, Noise Cancelling Earbuds and V4.1 Stereo Earphones are included in ENACFIRE Wireless Headphones. The Bluetooth earbuds also include built-in Mic and Sports Sweatproof, that offers support for iPhone 7,8, X as well as Samsung Galaxy S8 and S7 plus Android phones (available for $49.99 from Amazon). If you wish to purchase an AirPods like headphone for Android devices like Samsung smartphones, you can purchase the following: Bonsalay wireless earbuds stereo sports headphones. It is priced at $32.99. If your iPhone headphones not working on Android or Windows devices another option is to leverage headphone converters that function better and can allow iPhone headphones to function on other devices. iPowertech 3.5mm Slim Pin to 3.5mm Input Adapter (Mini-Jack) can be bought for iPhone for less than USD 8. The product claims that it has capabilities to convert the special headphones tip of iPhone to the 3.5mm universal tip. Even though the adapter converts Apple headphone to the 3.5mm tip, the user might not get the same control functions with this headphone and adapter combination. 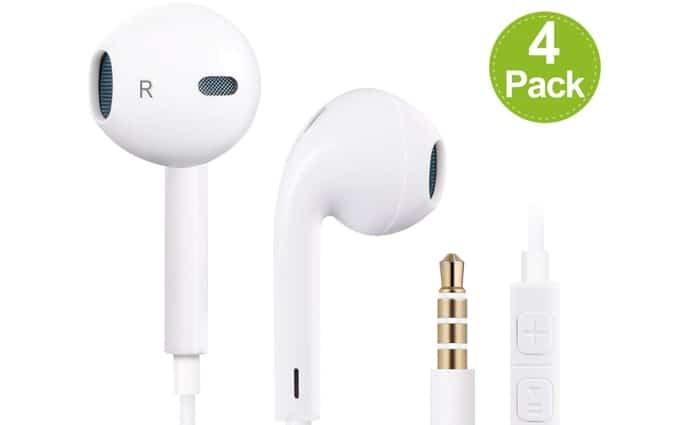 If you want the Apple earbud design, but still need a wired headphone that works with Android, there are some options available from third party vendors who sell these items on Amazon. For example, Generic 3.5mm Headphones with Remote Control and Stereo Mic for Android and Apple smartphone can be bought for just $14.69. The control button enables to Play / Pause, Volume Up / Down, Answer/End Calls, Next Track and also features a built-in micro and one-button remote for attending hands-free calls. Additionally, a 2-PACK Premium Earphones is offered by VOWSVOWS that also includes Stereo Mic & RemoteControl for iPod, iPad, iPhone, Samsung Galaxy and other Android devices. Price is $7.98 from Amazon. 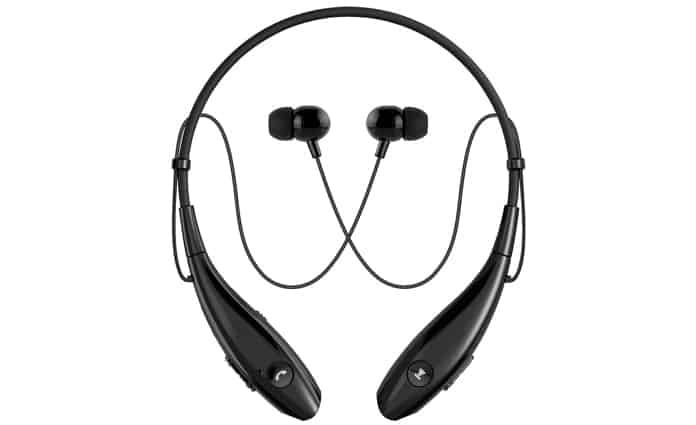 With advancements in technology, Bluetooth wireless headphones are now offered at a low price. Fortunately, these devices are coming with full compatibility with all devices like iPhone and Android. There’s even a complete list of the 10 best Bluetooth headphones available on the web. These headphones are manufactured with dedicated remote control and inline MIC which assists users in enjoying handsfree functions on the smartphone. Those looking for a wireless headphone can buy this for $21.99 from Amazon. In fact, the main issue while selecting the headphones is of battery life, additional controls and fit type that offer by iOS via headset buttons. Headset controls provide handsfree functionality to ask Control Volume, Call Answer Reject, Siri, Music Play, etc. For iPhone owners, the iPhone headphones can do a variety of things that you expect. If you’re still unfortunate with Android headsets, feel free to try this App called Headset Button Assistant. It’s available at the Google Play Store, and is very configurable. You can use it to change tracks, answer phone calls, begin Voice Command, play music, just by clicking a button on the headphones. By following these steps, you’ll be able to address the Apple headphones compatibility problem with Windows and Android device. Please let us know you’re aware of an alternative solution to resolve this issue on your devices.